Welcome back to Crazy Domestic and our final Cupcake ♥ Love Workshop. This week I'll be showing you how to make easy gourmet cupcakes, as well as some fun packaging ideas. I made the I Scream, You Scream cupcakes in June for a cupcake contest I entered. So many people were interested in how I made them that I thought I'd put together a little ebook to share the super simple details. I'm not quite finished with the book yet, it will be available on Scribd, in the meantime here's an exclusive sneak peek. Love Chocolate? This cupcake is for you! Cupcakes are a great way to make someone feel special. 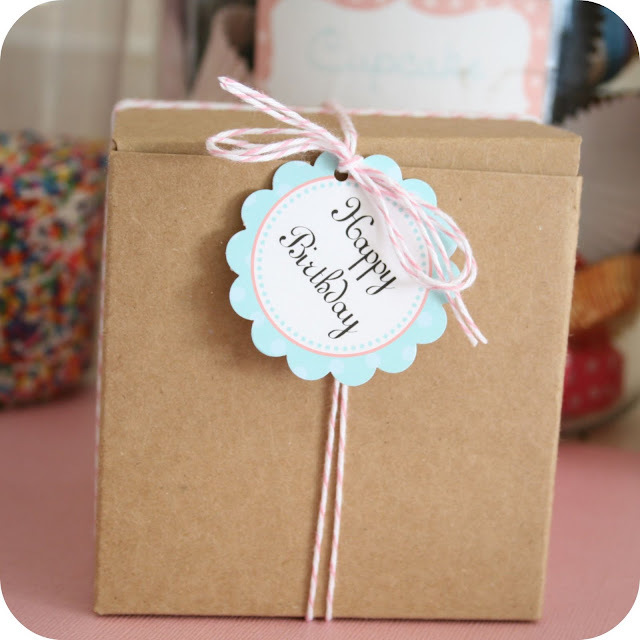 Whether it's for a party favor or just to say hello, here are some cute ideas on how to package your delicious treats. I actually got this idea from Bergdorf Goodman and thought I'd give it a try. These cupcakes are made the same way as the I Scream, You Scream cupcakes above. 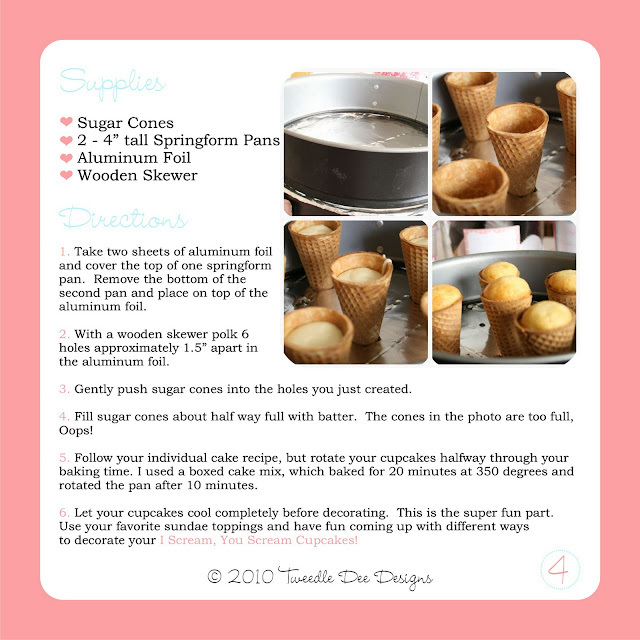 However, instead of a springform pan, you can use a regular cupcake pan to hold the flat bottom cones. Say "Happy Birthday" with a cupcake. 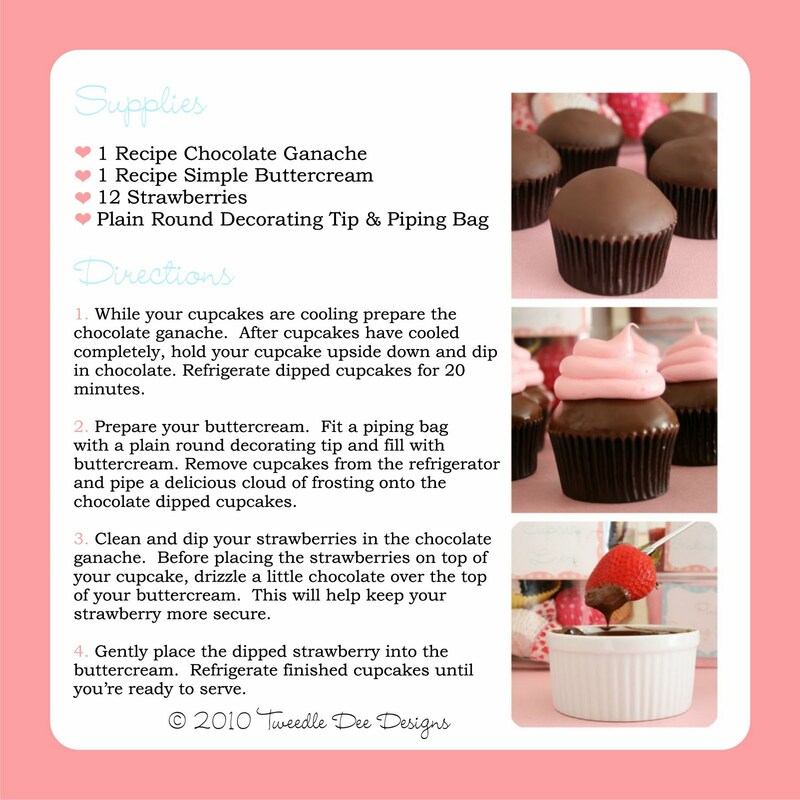 A 4" x 4" kraft box is the perfect size for individual cupcakes. 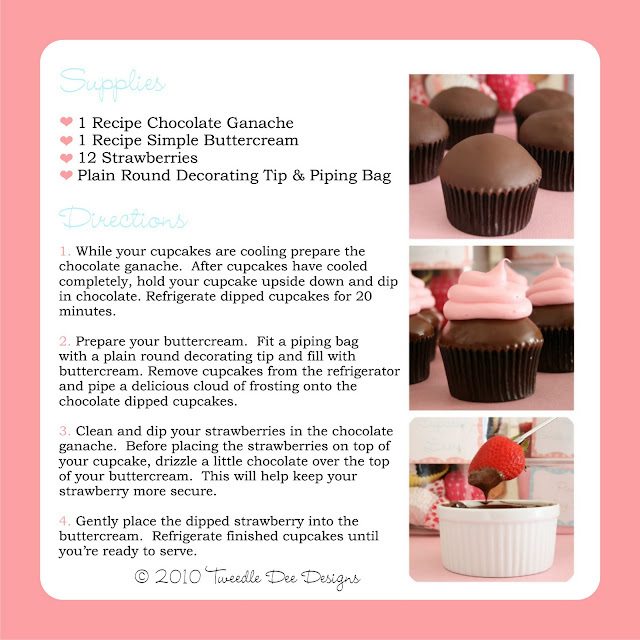 To secure your cupcake inside you can purchase cupcake holders from Bake It Pretty. Wrap with colorful bakery twine (from Divine Twine) and a Party Punchable tag from Tweedle Dee Designs. A cupcake in a jar is a super sweet treat. 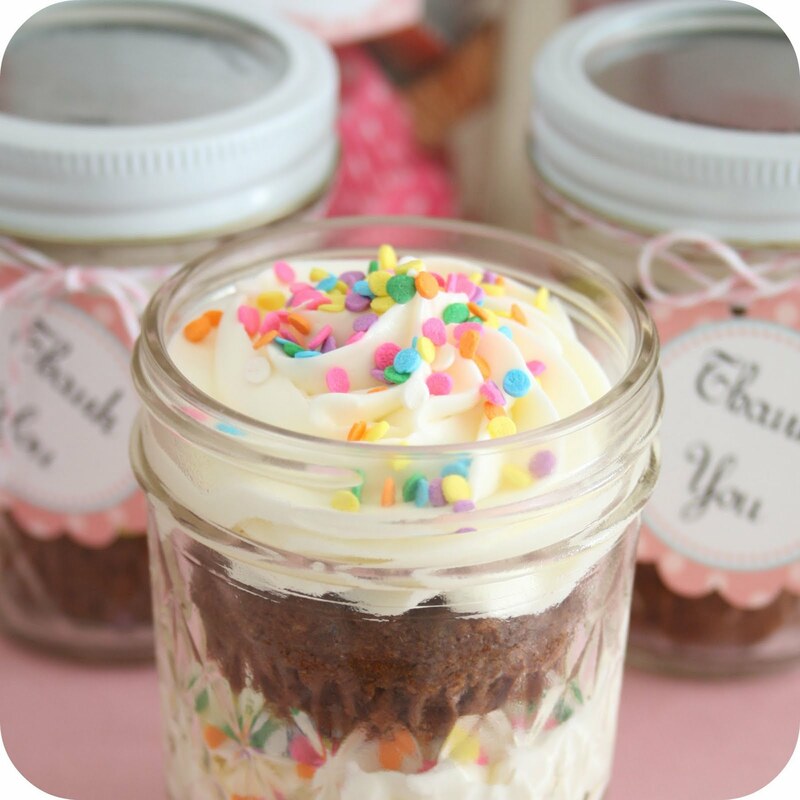 Simply cut your cupcake in half and layer in a small mason jar with your favorite frosting. Add some colorful sprinkles and finish with a cute favor tag for a unique party favor or gift. Enjoy these Party Punchables made just for you! Thank you so much to Stephanie for choosing Tweedle Dee Designs to be your "cupcake expert". 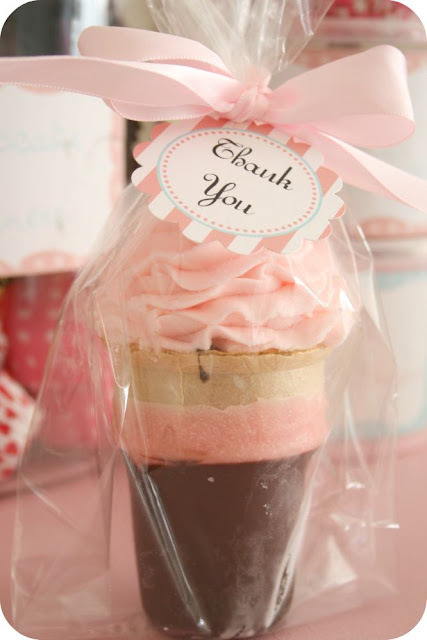 I hope you enjoyed the Cupcake ♥ Love Workshop Series, I know I had a great time putting it together. If you have any questions regarding any of the workshops please feel free to email me at tweedledeedesigns@hotmail.com Also, make sure to visit the Tweedle Dee Designs blog and Etsy Shop, there's more excitement coming very soon! HUGE thanks to Brandi for putting on such a cute and helpful workshop series for this month! Isn't she so talented?! Please visit her site and let her know how much you loved this workshop series. And if you love her as much as I do, you won't want to miss the All Things Domestic link party for September- Brandi will be back sponsoring our party with a fun giveaway! Wow - I love the cupcake in a jar idea! 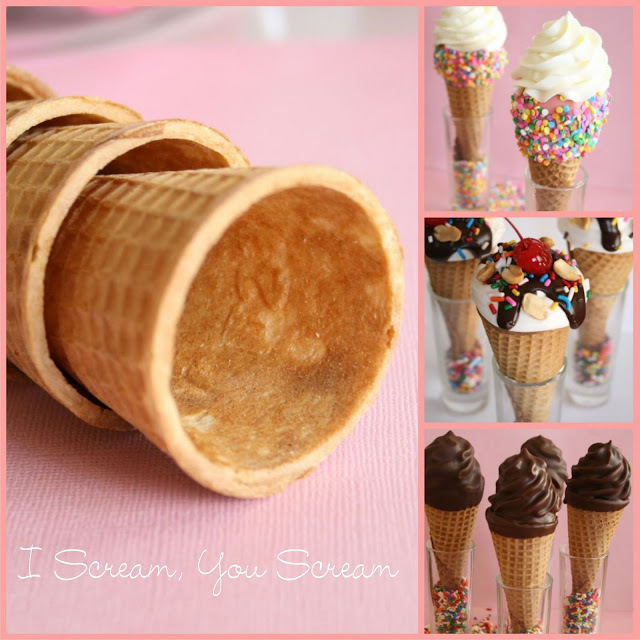 Such cute ideas.Love the ice cream cone favor. Gave me a great idea for taking a mini-birthday cake to work for a special co-worker. It is just adorable. Super sweet workshop. Absolutely amazing ideas Brandi! I am sad that your your segment is finished! I have to eat a cupcake right now!!!! Love them all!!!! I need to start baking! Those look so fun and yummy! Thanks for sharing! This was my favorite post of the series! I'm glad everyone enjoyed it, I can't believe it's the last one. I think this is my fav as well. Are you going to continue it over on Tweedle Dee? Say yes! Say yes! 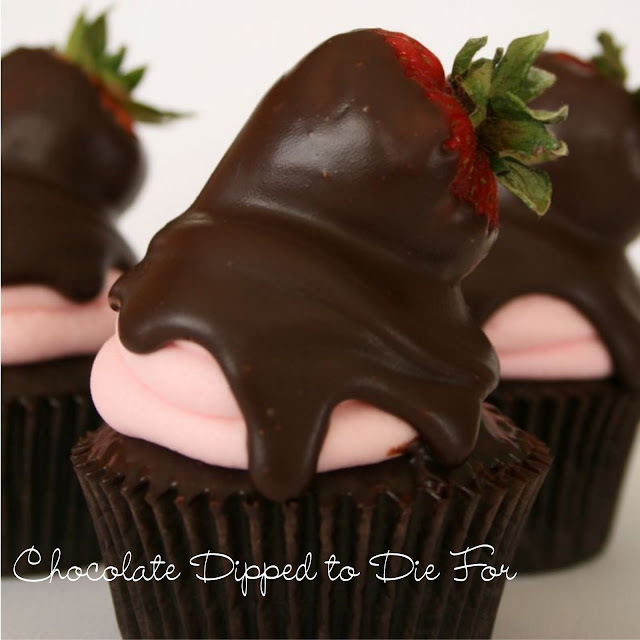 I love these cupcake ideas. Terrific ideas. I like the idea about taking a mini cake to work too! And yes, I hope you will continue posting your workshop over on Tweedle Dee. Thanks Crazy Domestic for all your inspiration too!